Google is located in almost perpetually sunny (sometimes foggy but rarely snowy) Mountain View, California. 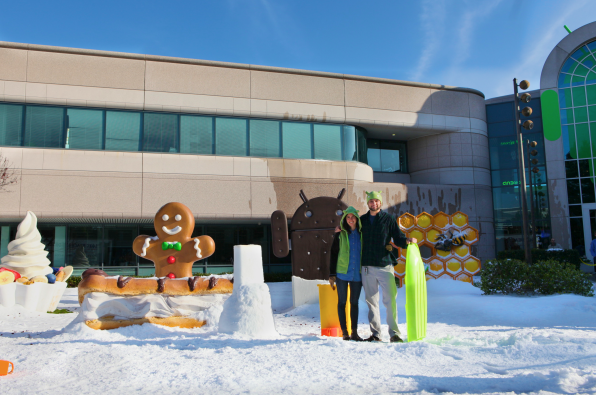 So when Google wants its employees to enjoy a bit of the seasonal white stuff, it has to truck it in. 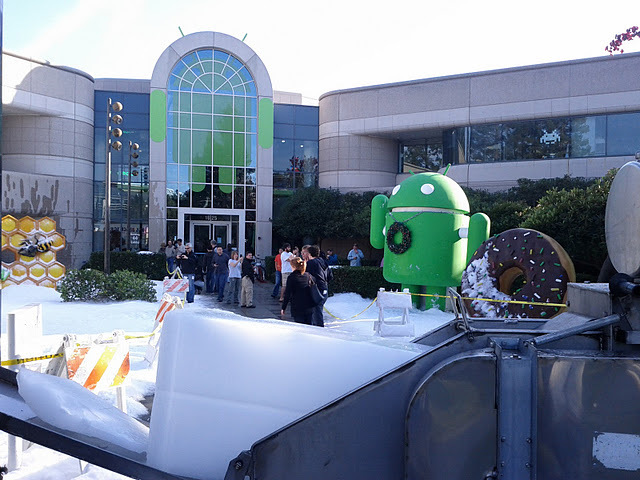 This is what the Google campus’ front lawn looks like decorated with its array of Android-version statues and a bunch of fake snow. The snow is made by shoving huge blocks of ice into a shaver, which then shoots it out of a hose. If you look closely, you can see that the main building looks like it is being dressed up like an Android, with two antennae and some green wrapping. The shots were shared by Patrick Fong on Google+ and the official Android Twitter account.